It must have been incredibly difficult for unknown opera composers of centuries past to capture the attention of their audiences from the very beginning – the overture. Often, audience members visited the opera house because they were in the mood for an evening of gossip, flirtation and card games – opera often didn’t even enter the equation when one went to the opera house. Quit the card games, mind the opera! How to draw the attention of such an audience must then have been something that many a composer had to think about carefully. Would it be possible to draw an audience in from the very first bars onwards? To get them to the point that they forget all about their card games and wealthy young bachelors? A loud bang always draws attention, but the trick is to keep hold of it. An operatic beginning that, for me at least, manages to grab and hold attention immediately and effectively, is that of Wagner’s Die Walküre. Even if I take my seat in the auditorium on a terribly chaotic day and can’t seem to stop thinking about all the items that I still haven’t finished, the first bars of this opera instantly redirect my full attention to the operatic stage. I’m drawn to the edge of my seat by the nervous, agitated sounds coming from the orchestra pit. The sense of unrest, longing, and desire that permeates this instalment (if not all instalments) of the Ring, is palpable from the very beginning. There are also powerful operatic beginnings that don’t start with a bang. The opening bars of Verdi’s La Traviata are subtle and start from a whisper. This whisper develops into something of a waltz that is reminiscent of the parties and dances that Violetta participates in as a courtesan, yet a great sense of sadness and longing is expressed in these notes. The dance of the overture contrasts with the bombastic party music that bursts into the auditorium as the action of the opera itself begins. A Verdi opera that does start with a bang is Rigoletto. The loud, dark and sonorous sounds coming from the orchestra pit instil the audience with an immediate sense of doom, not unlike the sense of impending doom that Rigoletto continually experiences in the opera. After this brief overture, the sudden switch to the light-hearted partying at the Duke’s castle provides an incredibly powerful contrast. Also, an immediate and powerful musical impression is given of Rigoletto’s character and psychology: he is a man who is deeply afraid and troubled on the inside, but manages life (albeit barely) by playing the court jester and making a fool of himself. I don’t have to draw the attention of a nineteenth-century audience, luckily. My challenges lie rather in standing out and reaching an audience in this strange universe of modern information technology. Apart from writing semi-decent articles, I apparently also have to concern myself with self-branding, website-branding, search engine optimisation, and turning into that annoying person that keeps posting links in Facebook groups ad nauseam. Operatics’ Overture: what do I want to do with this website? 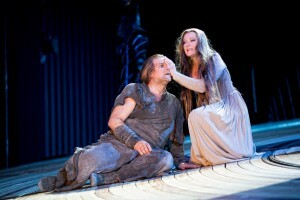 – Publish reviews of operatic performances, from (mainly) around Europe. This is what I’ve actually been doing on a regular basis for the past couple of years for a Dutch opera website, but I often regret that only a relatively small amount of people can actually read my contributions. Also, I have a master’s degree in English, so I should be able to manage to write something legible. – Write background pieces about opera and society. 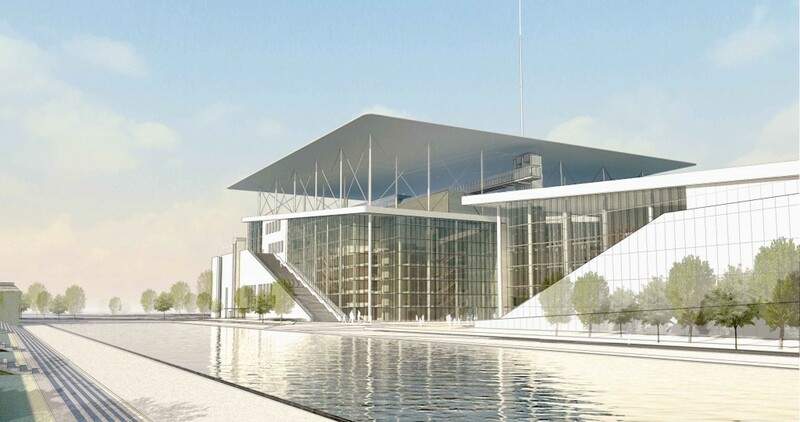 For instance, in Athens, a gigantic and ridiculously ambitious new opera house is being built by a private foundation. After completion, it will be donated to the utterly broke Greek government, who will have to take over. I’m intent on finding out, on my next visit to Greece, what on earth this foundation is thinking, why this opera house is being built in a spot that is barely accessible by means of public transport, and how the Greek National Opera sees its role in the current socio-economic situation of Greece. – Publish interviews with artists. In my experience, there are so many artists that really have interesting things to say. From budding composers to established superstars. So far, my interviews have been mainly in Dutch. – Write opinion pieces about opera productions. Be warned, I am not a traditionalist. If you´re into cardboard and ‘park and bark’-strategies, you probably won’t agree with me very often. The last opera I walked out on during the interval was a Götz Friedrich Nozze di Figaro. Honestly, I just couldn´t take the utter lack of characterisation. Susanna just slapped everyone incessantly. Marcellina just kept tossing her buxom bosom into everyone´s face. And there was collapsing cardboard. Loads of it. Not my thing. – Give young opera lovers the chance to contribute to this website as well. Through Juvenilia (the European network for the operatically insane under 30), I’ve gotten to know so many amazing and talented young people whose voices also deserve to be heard. So, here is my beginning. Let’s hope that what follows is of consistent quality and, above all, interesting. 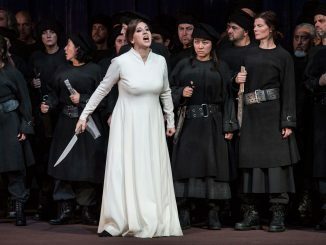 I wouldn’t want Operatics to be booed off stage prematurely. What is your favourite operatic beginning? What would you like to see on this website? Or would you even like to contribute yourself? If so, shoot me an email here!